I fell into an hole with my rover and i was pulling this research pod with a winch. 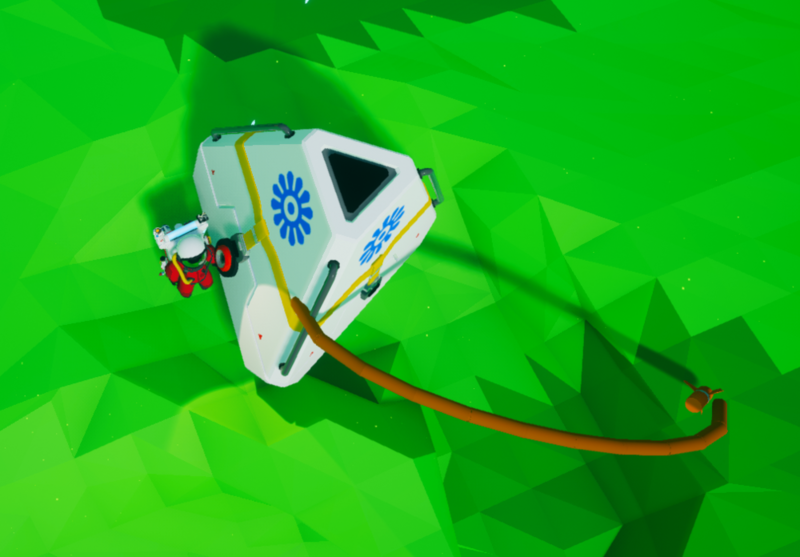 I moved it and it was going wild (it sometimes does that because the physics just think your doing insane things with it) So i waited until it was calmed down and i dropt the winch, the pod fell onto it and now its stuck inside. Tried to dig under it but that didnt work.